We may expressly authorize you to redistribute certain Content on a personal, non-commercial basis. We will identify the Content that you are authorized to redistribute and describe ways you may redistribute it (such as via email, blogs, or embedded players, or by producing Mash-Ups (defined below)). We may revoke this authorization at any time. If you redistribute such Content, you must be able to edit or delete such publicly posted Content and you must edit or delete it promptly upon our request. 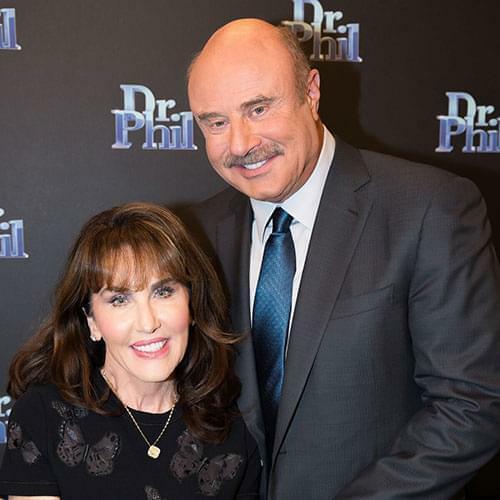 You are expressly prohibited from using language such as “as seen on” or any other language that implies an endorsement by Company, the Dr. Phil show, talent appearing therein when redistributing Content. When expressly authorized by us in writing, you may embed videos using the Video Player, provided you do not embed the Video Player on any website or other location that (i) contains or hosts content that is inappropriate, profane, vulgar, offensive, false, disparaging, defamatory, obscene, illegal, infringing, threatening, sexually explicit, racist, that promotes violence, racial hatred, or terrorism, or that we deem, in our sole discretion, to be otherwise objectionable or (ii) links to infringing or unauthorized content, or any content described in (i). You may not embed the Video Player into any hardware or software application, even for non-commercial purposes. As determined by us in our sole discretion, we reserve the right to prevent embedding to any website or other location that we find inappropriate or otherwise objectionable as determined by us in our sole discretion. You must obtain our written permission for commercial use of the Content or the Web Site. If you wish to license Content from the Web Site, please contact us. 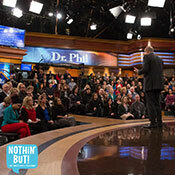 If you wish to license footage from the Dr. Phil show, please send an email to ctdcliplicensinggroup@cbs.com. The Web Site may allow you to submit or transmit audio, video, text, or other materials, including so-called “user generated content” and “feedback” (collectively, “User Content”) to or through the Web Site. When you provide User Content, you grant to Company and its affiliates and partners a non-exclusive, worldwide, royalty-free, perpetual, irrevocable, fully sublicenseable license to use, reproduce, archive, edit, translate, create derivative works of, make available, distribute, sell, display, perform, transmit, broadcast and in any other way exploit that User Content, and any names, voices, likenesses and other identifying information of persons that is part of that User Content, in any form, media, software, or technology of any kind now known or developed in the future, including, without limitation, for developing, manufacturing, and marketing products and for inclusion on the Dr. Phil show, on a CD or DVD, or in any other electronic or non-electronic media or format currently existing or later developed. You hereby waive any moral rights you may have in your User Content. Company does not accept unsolicited submissions, including scripts, story lines, articles, drawings, suggestions, ideas or concepts. It is Company’s policy to delete any such submission without reading it. 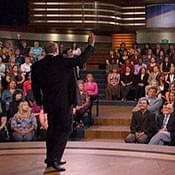 Any similarity between an unsolicited submission and any elements in the Dr. Phil show or any other creative work produced by Company or any talent from the Dr. Phil show would be purely coincidental. These Terms and all claims between you and us or you and CBS Interactive arising from or related to your use of the Web Site will be governed by and construed in accordance with the laws of the State of California, except California’s conflict of law rules. These Terms will not be governed by the United Nations Convention on Contracts for the International Sale of Goods, if applicable. Before you, we or CBS Interactive commence an arbitration or file a small claims court action with respect to a Claim, you must first send to Company/CBS Interactive a written notice of your claim or we/CBS Interactive must send a written notice of our claim to you (“Notice“). Your Notice must (1) be sent by certified mail; (2) be addressed to: Peteski Productions, Inc., Attn: Legal, 2450 Colorado Avenue, Suite # 500E, Santa Monica, CA 90404-3443, or if to CBS Interactive to CBS Interactive Inc., Attn: Legal, 235 2nd St, San Francisco, CA 94105; (3) describe the nature of your Claim; and (4) specify the damages or other relief you seek. If we, CBS Interactive and you (as applicable) do not then resolve the Claim within 30 days after our receipt of Notice is received, either you, CBS Interactive or we (as applicable) may commence an arbitration or file a small claims court action to resolve the Claim.